XANDER UPDATE: Hi all! It's been a very busy week and a very difficult one for mom. Xander had a rough night but a good night all at the same time. He didn't sleep much but when he did he didn't have any apnea episodes!!!!! PT and OT came and worked with Xander again today. 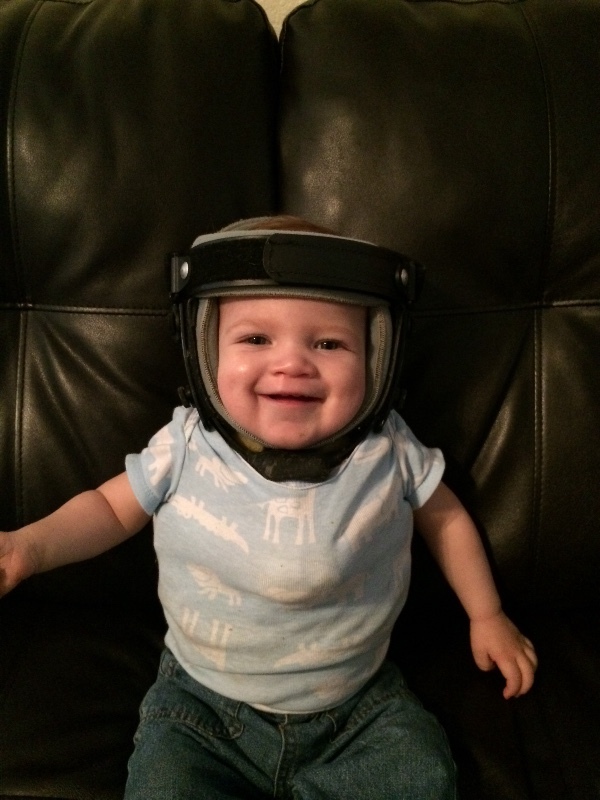 Xander was also fitted for a car seat that is going to accommodate the halo brace while giving him the support and safety he needs. We will need to buy an additional car seat and they run about $800. We are looking into options but a car seat that is for a baby with special needs seems to be outrageously expensive but we will figure that out. Also, we are now out of PICU and on a regular floor!!!! At this point there still isn't any talk about when Xander will be released. I can't say it enough, the thoughts and prayers means so much to us. Thank you all again very very much. #TeamXander. Also please feel free to like his page TeamXander, that page will continue to follow his journey for as long as I can keep it up. XANDER UPDATE: Once again we have received news that is not what we were expecting/hoping for. My little boy will be going in for another surgery on Thursday May 19th. Unfortunately the bone that was removed during his last surgery has started to regrow and the bones/ligaments that make up the top of the spinal column have not stabilized. The surgery will consist of once again removing some of the bone that is compressing the spinal cord, also the surgeons will be harvesting bone from his ribs or pelvis to try to stabilize the spinal column without having to use pins to fuse the bone. This is a very invasive procedure and we have been warned that there are multiple complications that could arise. They are expecting there to be bleeding complications so Andy was able to donate blood in case Xander needs a blood transfusion (my iron was too low so I wasn't able to). 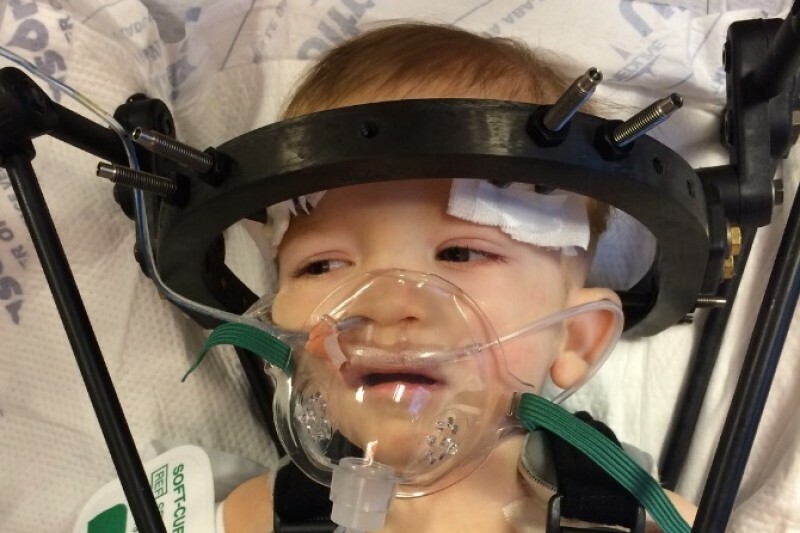 After surgery Xander will be placed in a full pin style halo for at least 3 months. We will be down at CHLA from Thursday to at least Monday, but probably longer. On top of all of this, my little bumble bee will be spending his first birthday (May 20th) in the hospital. I know we are in good hands and I know Xander is a fighter. This is a lot to absorb for us right now. There are so many unanswered questions. Please please keep my son (and his parents) in your thoughts and prayers. Thank you for all your continued support, it means the world to us. This is my amazing 6 month old son Xander. Unfortunately he had to have massive spinal surgery on 12/7/2015 and will have to stay in this immobilization brace for at least 4 months. I absolutely hate asking for help but between the cost of hotel rooms during our hospital stays, food expenses during our travels, gas prices for his rechecks which are a 3 hour round trip, ect ect I am starting to get very worried about the financial aspect of things. My son is my everything and I will do anything and make sure he has everything he needs regardless of what I have to do to get it for him, even if it is asking for help. If you can find it in your heart and your bank account to help, I can not explain how grateful my family and I would be. Thank you for taking the time out to read this. Also, we are accepting all prayers and good healing thoughts. Again, thank you in advance and I hope you all have a wonderful holiday season! Little gift for you baby boy. You are a brave little Man!! Hope you feel better and better!! Praying for you baby boy & your family!